email : Webview : 2 hours to spare? Volunteer with us! 2 hours to spare? Volunteer with us! Come volunteer with us over your lunch break at one of our nine outstanding evidenced-based summer programs! More than 300 community volunteers are needed this summer to provide essential feedback on student presentations. No preparation necessary. Training and lunch provided! Click here for a full schedule of events or please see below. *College or scholarship representatives, advisors or college application coaches preferred. 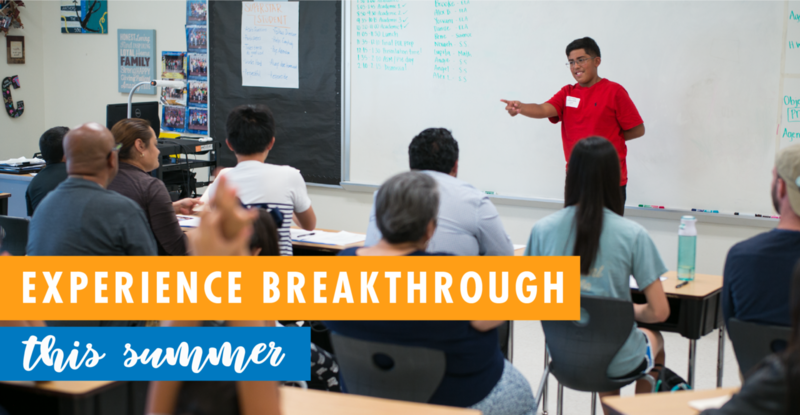 For more information on Experiencing Breakthrough this summer, click here. Breakthrough is proud to be an AmeriCorps program. Please share with a friend or colleague! We know that when people experience Breakthrough for themselves they become believers. We need more people just like you to join our mission to double the number of first-generation college graduates in Central Texas. Click the buttons below to share!